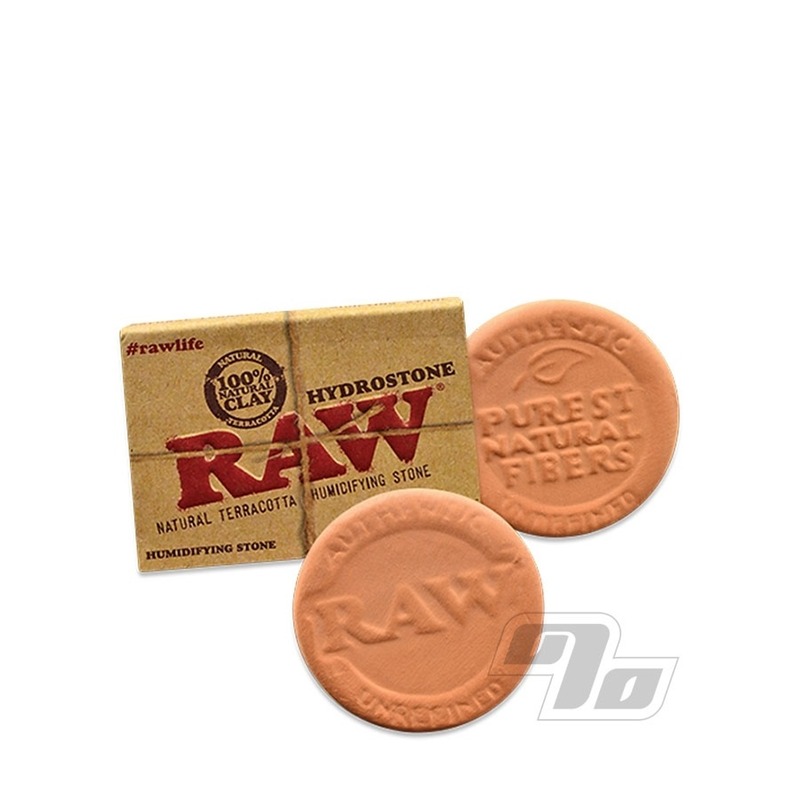 Keep your stash fresh with the RAW Hydrostone! Made from all natural terracotta clay, the humidifying stone is kiln baked. Terracotta was originally used to keep tobacco fresh on ships during the early days of modern trade. To use the Hydrostone, allow it to soak in water for 5 minutes. Give it a shake to shed the excess water then place it with your tobacco or herbs in a container or baggie. The Hydrostone will keep your material fresh for a very long time. It can even bring old dried material back to life and is 100% reusable. This Hydrostone is a simple but serious game changer brought back from the past by RAW! An even more seriously modern use includes recharging your Boveda or Integra Boost humidity packs with these Hydrostone marvels! 100% Rawthentic when purchased @1 Percent!